It’s Halloween again, and I’m so excited to share the costumes my kids chose this year. And just like last year, our friend and favorite local photographer Justin Hackworth, took pictures of the kids in their Halloween costumes. I’m so excited about how they turned out. 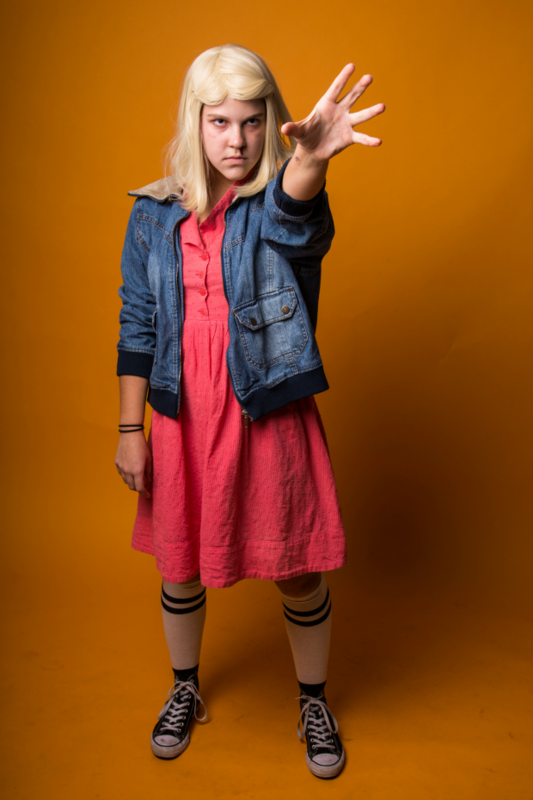 As soon as we watched Stranger Things on Netflix, we knew my daughter had to be Eleven for Halloween. She looks so much like Millie Bobby Brown (the actress who plays 011 in Stranger Things) it’s uncanny. 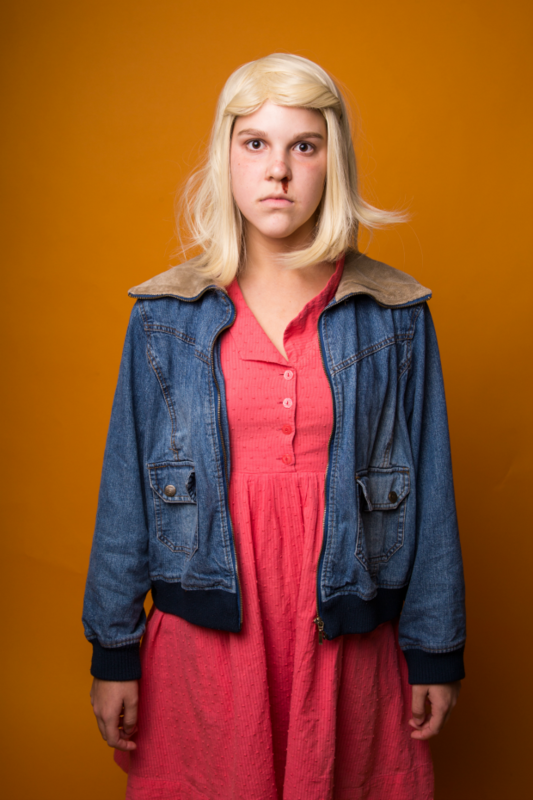 Basically, this is what Millie Bobby Brown will look like in 5 years. It’s so good, I can’t stand it. We got the dress at a thrift store and the wig from Amazon, but the rest of the costume is straight from my daughter’s closet. 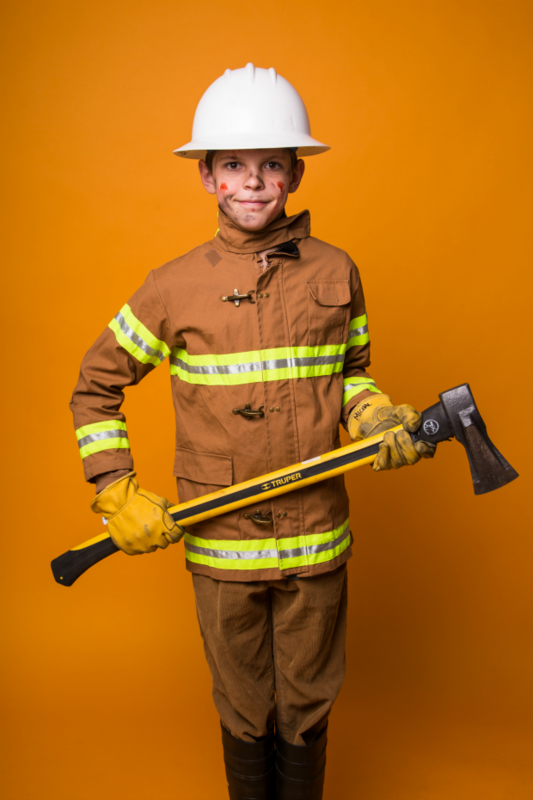 My little fireman came together at the last minute. He couldn’t decide what to be until the lastsecond when he decided it was Napoleon Dynamite or nothing. I couldn’t come up with a costume in time, so while I was thrift store shopping anyway, I came across this fireman’s jacket. 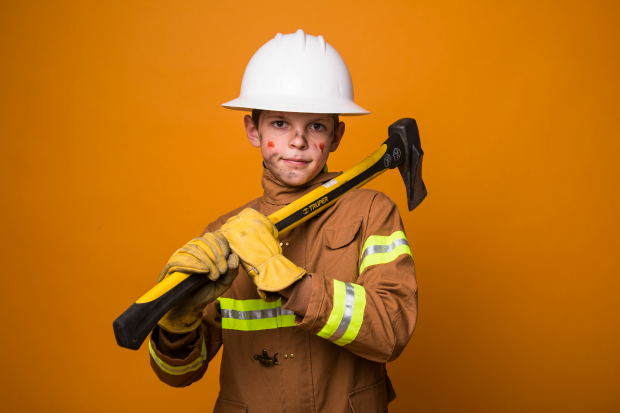 We paired it with some brown corduroy dress pants, his sister’s black galoshes, a helmet from daddy’s office (my husband works for a power company), and an axe and gloves from the garage. I love the way it came together. Happy Halloween everyone! I hope you stay happy and healthy.